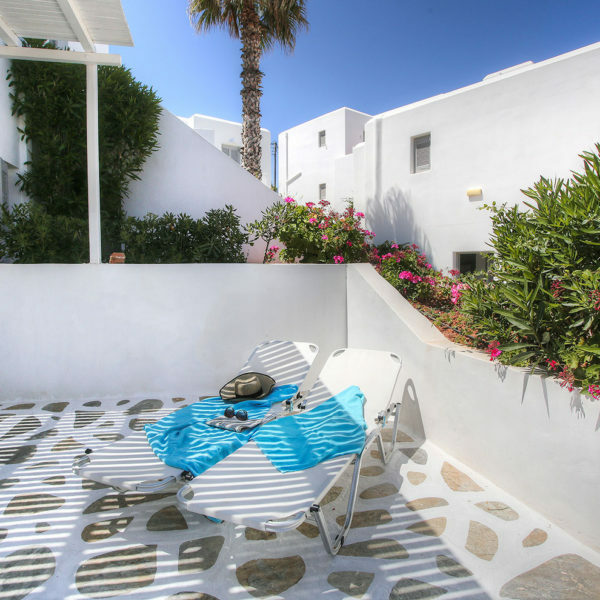 Comfortable two-room suite ideal for families or friends. 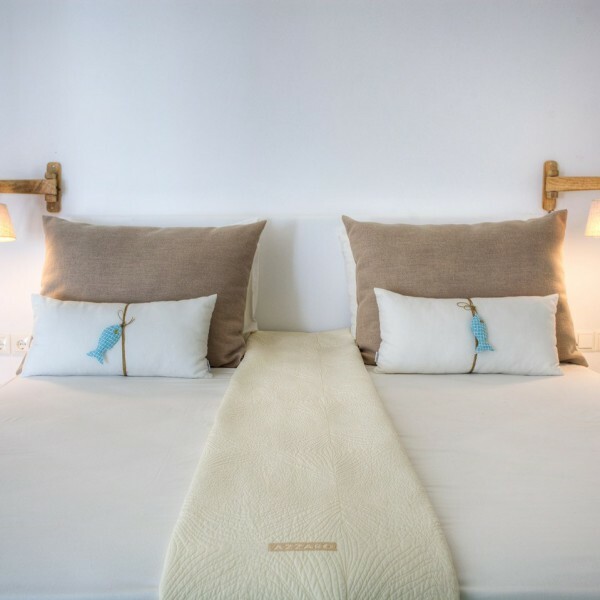 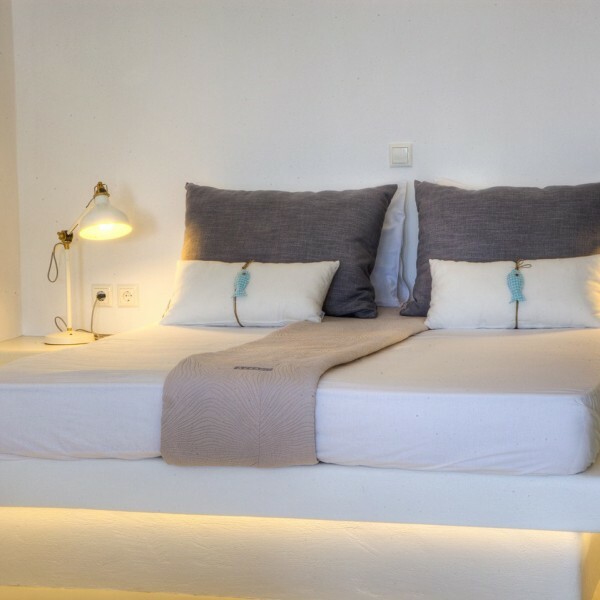 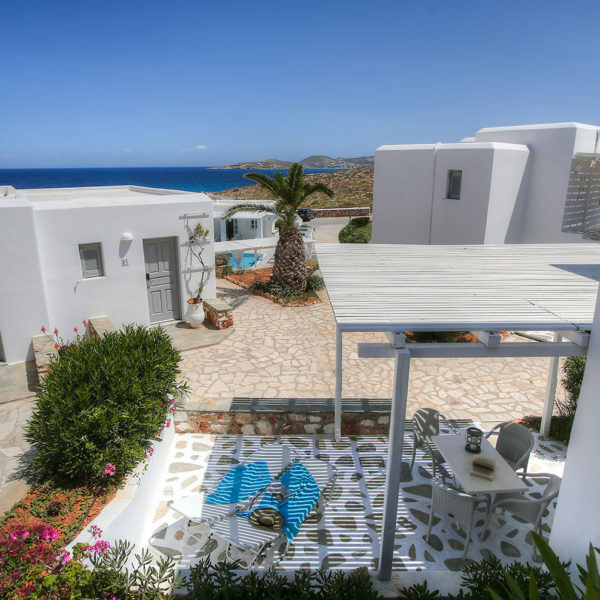 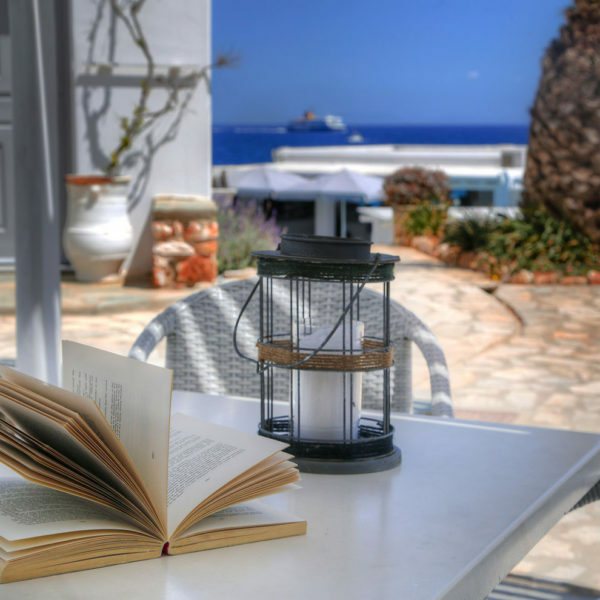 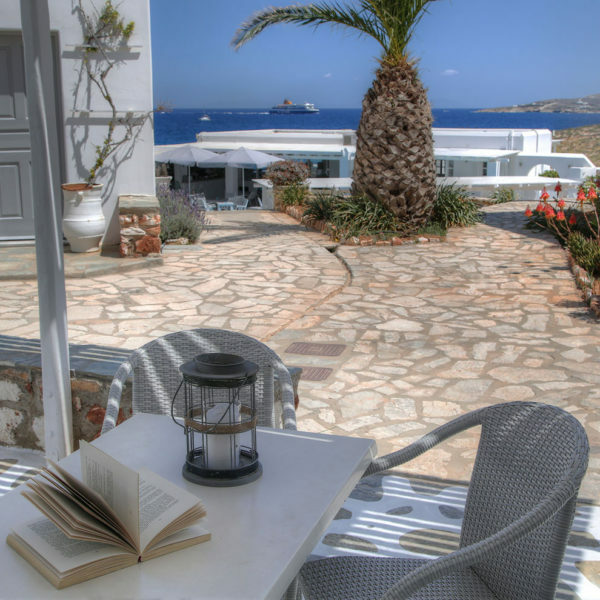 It features one bedroom with traditional Cycladic-style King Bed or Twin Beds,a living room with two sofa beds (that can be joined together to form a double bed), refrigerator and coffee corner. 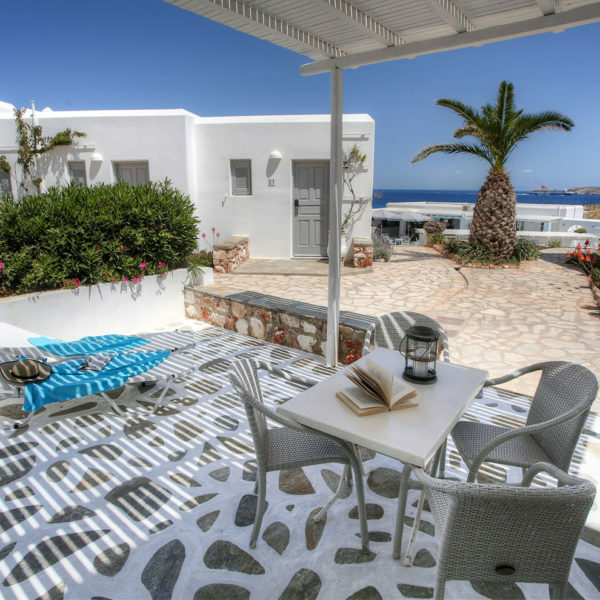 This suite has two bathrooms,onewith whirlpooland separate shower and the other one with shower.The patio offers partial sea view.